Explore Old Town Winchester through our unique restaurants on this specialty food tour where we'll be sampling desserts. We'll be visiting 5-6 restaurants, end with a champagne toast and have roses for the ladies! The perfect Valentine's Day for your significant other. 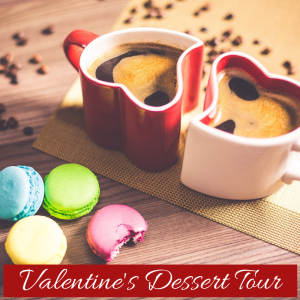 Each tour is limited to 8 couples so book early! Winchester Moose Family Center, 215 E. Cork St.